Canadian indie rock band Metric was originally formed in Toronto but has also been based in Montreal, London, New York and Los Angeles. The band consists of Emily Haines (vocals, keyboards and guitar), James Shaw (guitars), Josh Winstead (bass) and Joules Scott-Key (drums). Their fourth full-length album, Fantasies, is a glossy and slick collection of radio-friendly rock compositions with a pop twist. Adam Freeland is a UK-based DJ and producer synonymous with breakbeat based electronic music. His latest album, Cope™, was released in June 2009 and a remix compilation, Cope™ Remixed, hit the stores last November. Spanning a kaleidoscope of sounds from techno and disco to electro and drum n bass, Freeland’s sound is rich enough to take you on a spectacular ride every time. Adam Freeland is also known for his work as a producer/remixer. His remixes include work for bands such as The Temper Trap, Shiny Toy Guns or Metric. 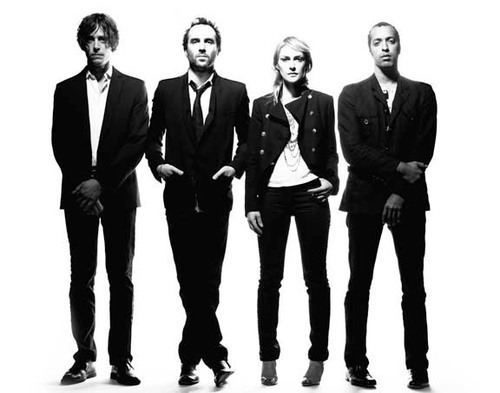 Metric’s official site / MySpace – Freeland’s official site / MySpace.